For diabetics, insulin injections are often a way of life. Although insulin is something which used to only be administered via individual injections, it is now available by an easier administration method. Insulin pumps are the new and improved way to receive one’s insulin doses in a less painful, more exact manner. Even though these items have been around for more than 30 years, the products available today are much greater, in both quality and quantity. For those who may be interested in obtaining an insulin pump or trading their old one in for a new one, the following reviews of various insulin pumps on the consumer market today may prove helpful. Animas is a well-known manufacturer of insulin pumps. One highly thought of insulin pump model produced by this company is the Animas 2020. The Animas 2020 possesses such great attributes as a flat panel color screen with high contrast features and various information storage capabilities including prior 500 carbohydrate and blood sugar levels, last 500 boluses and generous quantities of daily totals. This model also comes complete with multiple alarm settings and ezFlip pump covers. Another popular brand of insulin pump is the Deltec pump. The Deltec Cozmo is one of the newer insulin pumps produced by this company and contains almost everything one would want in an insulin pump. Being touted as one of the lightest insulin pumps on the market, this is just one of the many wonderful features of the Deltec Cozmo. Other features include no-look boluses, ability to download information to a PC, nonproprietary infusion sets and 300-unit reservoir make this a good choice for many insulin pump users. The Disetronic Spirit is another choice for insulin pump shoppers to consider. Consisting of a generous 315-unit reservoir and available in 30 different colors/styles, this pump is not only useful but aesthetically pleasing as well. This model also offers 24 basals per day and is waterproof for up to an hour. Three operating menus enable the user to perform their blood glucose checks accurately and efficiently. The oldest insulin pump company, Medtronic, offers a new type of insulin pump called the MiniMed Paradigm 522 and 722. These pumps have multiple features necessary for diabetics to keep their insulin level in check which include accommodating unit space, various carb and correction settings, choice of four infusion sets and easy clip attachment. Some of the cons which have been noted with this type of insulin pump include slow bolus delivery, expensive upgrade options and occasional loss of previously entered data. However, if one is looking for a simple pump to deliver insulin-related statistics, the MiniMed Paradigm might work just fine. The Insulet company is a relatively new one in the area of insulin pumps. With that said, they are one which exhibits top-notch technology with regard to their products. The Insulet OmniPod is a new type of insulin pump which uses a two-part system to monitor one’s glucose level and administer insulin. This device does not use tubing but instead has a monitor placed on top of the skin. There is a handheld device which produces all of the required information. It is a watertight system which can go underwater up to eight feet for a period of 30 minutes. The reservoir holds 200 units and bolus increments are available in .05, .1, .5 and 1.0 quantities. An integrated food database offers an additional nicety for users to take advantage of. Since 1981, Sooil has been an insulin pump provider for diabetics. The DANA Diabecare II model has almost anything an insulin pump user can want in a device of this kind. With a 300-unit reservoir, waterproof attributes, light qualities and large display screen, this insulin pump does the job with the user in mind. Some have stated that the screen does not have the best resolution but the size thereof makes it easier to read than some other insulin pumps on the market today. 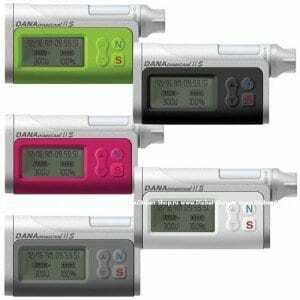 The 3.6-volt battery enables the DANA Diabecare II to run for approximately two to three months on one battery which provides the user with a convenience in that they do not have to change the battery as frequently as some of their insulin pump competitors. All in all, a good pump to consider using. Diabetes is a medical condition which is serious in nature but is one which can be maintained by following a few simple rules. Things such as eating healthy, keeping your blood sugar level at a favorable rate and getting a good amount of exercise will all help to keep your diabetes at a manageable level. Another way to maintain your diabetes is by using an insulin pump. The following will describe the benefits of using insulin pumps and why this type of equipment is better than the individual insulin injections. The insulin pump is a relatively new technology which allows an individual to have a catheter inserted underneath the skin for the purpose of receiving insulin doses on an as needed basis. Based on a variety of circumstances, the insulin will be activated to ensure that one’s blood sugar level is maintained and level. There are many benefits to having this type of insulin delivering contraption and it is important to review these benefits to determine if an insulin pump is right for you. The first benefit of an insulin pump is that it allows an individual to forego the insulin shots via a daily needle injection. Since this is an often-cited concern for diabetics, having an alternative to the old version of insulin injections is a nice thing to consider. Due to the fact that the insulin pump consists of a catheter already under the skin, the diabetic individual does not have to mess around with a single injection whenever they need some insulin. Another benefit of using an insulin pump relates to the accuracy of the pump. The insulin pumps tend to be much more accurate than individual insulin injections. The insulin directed by a pump will always go to the right spot as opposed to individual injections which may not be accurate every single time one injects themselves with the insulin. Accuracy is crucial as it ensures that the individual is getting the right spot each and every time they need their insulin. Insulin pumps are also known to keep the blood sugar level closer to the recommend rate than the individual insulin shots. Since insulin shots are not administered at the same time every time and it may take a while for the shot to be administered, the gap between the desired blood sugar level and the actual level is greater than with an insulin pump. By using an insulin pump, the administration is done on a timely basis each and every time it is needed. This type of insulin administration allows diabetic individuals to achieve a greater quality of life overall. No longer will they have to be close to a refrigerator in order to get to their insulin and diabetics who use insulin pumps can spend their day as they please with their insulin right by their side. In addition, the insulin pump tends to anticipate when a dose is needed and it is done before it is too late and the individual is at risk for insulin shock. The improvement in one’s quality of life can definitely be felt when using an insulin pump for their dosage needs. Lastly, insulin pumps often take away the need for large quantities of carbohydrates prior to engaging in exercise of any type. With the old way of insulin injections, one would have to eat a great amount of carbs prior to hitting the basketball court or going for a run as one’s blood sugar level is at a higher risk for getting off target after exercise. In the past, one would have to have a meal complete with carbohydrates in order to keep the blood sugar level at a good rate. Today, insulin pumps allow the individual to exercise without having to eat the large amounts of carbohydrates as the pump will compensate for any gap in the blood sugar level which occurs. Again, insulin pumps offer a freedom which was not present with the individual insulin injections. The Animas 2020 insulin pump allows a diabetic to take advantage of the latest technological innovations. At the same time, the backup for that pump guarantees delivery of traditional benefits, benefits that are of equal importance. A diabetes patient with an Animas 2020 insulin pump can obtain useful guidance and service. A user of the Animas 2020 insulin pump can plan to contact Animas representatives at any time of the day. Animas’ literature promises the 24 hour availability of the company’s telephone guides. In addition, Animas makes a point of providing pump users with a multi-faceted type of support. Animas 2020 owners can easily contact the company for help with the interpretation of data, which is displayed on the pump. The user of an Animas 2020 pump should have little trouble reading the displayed data. The pump has a flat panel with a high-contrast color screen. That screen, a screen that resembles the screen on a digital camera, is self-illuminating. It also has a wide angle view. Software installed in the pump permits the calculation of certain quantities of insulin. Those quantities are then displayed on the pump’s screen. The pump can display the number of carbohydrates in hundreds of foods. The holder of an Animas 2020 insulin pump can thus consult the pump software to calculate the ideal portion size to use during any meal. A diabetes patient with an insulin pump uses it to administer a bolus dose of insulin prior to eating. The amount of insulin in that dose should reflect the number of carbohydrates that the pump wearer plans to consume. Diabetics who are familiar with the function of the bolus dose should appreciate the “suspend feature” on the Animas 2020 insulin pump. By using the suspend feature, a pump wearer can call for immediate changes in the scheduled bolus dose. That way, the pump wearer can feel free to make a sudden change in his or her selections from a menu. The pump can be programmed to handle whatever added carbohydrates might be ingested, as a result of the new menu selection. The bolus dose of insulin supplements the basal dose. The Animas 2020 gives the pump wearer greater flexibility when programming the pump to deliver the appropriate level of basal insulin. The Animas 2020 has the lowest basal insulin rate available. The Animas 2020 has a minimum basal insulin rate of 0.025 U per hour. That minimum rate is only one half of the minimum rate on most pumps (0.05 U per hour). The pump wearer thus finds it easier to program the pump to a basal rate, a rate that suits the needs of the diabetic who must rely on that insulin. The Animas 2020 insulin pump has multiple, customizable basal programming. Therefore, the Animas pump can be set to deliver a basal dose that matches with the schedule or the activities of the pump wearer. When does one need to reprogram a pump? Suppose that a patient with diabetes works nights. That night-working diabetic needs to program his or her pump so that the basal dose changes in accordance with the unusual schedule of the diabetic. Suppose that a diabetic plans to participate in a marathon. On race day, he or she needs to adjust the basal rate on his or her insulin pump, so that the runner does not become deprived of glucose during the long race. The Animas 2020 insulin pump facilitates the storage of vital information. The pump can store the last 500 blood glucose values, values recorded after the ingestion of a given number of carbohydrates. The pump can also store the last 500 bolus insulin doses. The pump wearer can retrieve that stored information and share it with a physician. A diabetic with an older Animas pump does not have to envy the older of an Animas 2020 pump. An older Animas pump can be converted to a 2020 pump. The “ezAccess Program” allows that conversion to take place. The Animas 2020 insulin pump is a waterproof device. The pump has been designed to withstand extremes in temperature. The casing on the pump allows the pump to function after it is subjected to the sort of forces that it might feel while the pump wearer engages in some form of exercise. Still, the Animas 2020 insulin pump is not a flawless pump. Some diabetes patients have objected to the placement of certain items among the menu of features that are displayed on the pump’s screen. The “Suspend Feature” is rather high on that list. Some pump wearers have indicated that they would prefer a lower placement for that feature. 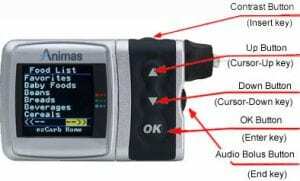 The Animas 2020 insulin pump does not have a continuous blood glucose monitor. Animas researchers do have such a monitor in development. They are working towards production of a pump with an implanted sensor. Such a sensor would pick-up infrared rays and would send the readings to a wristwatch. At the present time, the Animas 2020 pump does not take direct input from a blood glucose meter. Yet designers of the Animas pump realize that modern technology permits the development of a device that would allow for such direct input. Engineers and researchers have such a device in the early stages of development. While working on improvements to its pump, the company that makes the Animas 2020 pump also takes part in a joint activity with the Diabetes Trust Fund. Those activities concern the delivery of Animas 2020 pumps. The Fund and Animas deliver those pumps to low income families, families who have a child with diabetes. The makers of the Deltec Cozmo insulin pump have allowed a patient with diabetes to look to a single instrument for help with satisfying the essential needs of every diabetic patient. The Deltic Cozmo insulin pump has an integrated pump and blood glucose monitor. The monitor sends the results of each blood glucose test to the software that is in the Deltec Cozmo pump. The pump software stores the results of the past blood glucose tests. The pump can help a diabetes patient to remember the need for performing an additional blood glucose test. The pump can be set to send reminders about an approaching testing time, a time when the pump expects to receive the reading from yet another blood glucose test. The Deltec Cozmo insulin pump decreases the risk that the pump wearer might experience an unexpected high blood glucose level. The Deltec Cozmo pump can calculate the number of carbohydrates in a meal, and can suggest the appropriate bolus dose, the dose of insulin that should be pumped into the body before the meal. The Deltec delivers the bolus dose according to the units of insulin in that pump-in dose. While wearing a Deltec Cozmo pump can give the pump software added information. If the pump wearer has favorite foods, or favorite meals, then the contents of the food/meal can be entered into the pump software. The CozFoods feature on the pump provides the mechanism for giving the pump software that added information. Armed with information about a pump wearer’s favorite foods, a Deltec Cozmo pump is better prepared to make a rapid determination of the needed bolus dose for any meal. The pump wearer can control the rate at which the bolus dose enters his or her body. The bolus dose can be delivered in a brief minute, or it can enter the body over a period of two, three, four or even five minutes. The ability of the diabetic to control the bolus dose on a Deltec Cozmo pump mirrors the control of the basal dose delivered by the pump. The basal dose is the minimum amount of insulin, the amount that enters the blood stream at all times. The pump releases a dose of basal insulin every three minutes. A diabetes patient who wears a Deltec Cozmo pump can set the basal insulin dose to agree with his or her weekly schedule. The software in the pump can change the basal dose from one day to the next. The software can call-up a different insulin delivery schedule for each day of the week. The Deltec Cozmo insulin pump is a waterproof device. The pump obtains the insulin from a plastic, removable cartridge. Each cartridge holds 300 units of insulin. A clear gauge makes it easy to see when the pump needs a new insulin-holding cartridge. Those who might be thinking about buying a Deltec Cozmo pump should know that the pump will not work with just any cartridge. The Deltec Cozmo pump requires a Smith’s medical cartridge. That cartridge fits into the tiny cartridge space that is found in the Deltec Cozmo pump. The Deltec Cozmo pump is about the size of a cell phone. Still the pump has clear and unmistakable numbers and letters on its display screen. The nature of the screen window makes the numbers and figures easy to read. The pump can be temporarily disconnected from the site at which the insulin enters the patient’s body. The pump can remain detached from the implant site for a period of 15 minutes to two hours. The Deltec Cozmo pump can be set to deliver a bolus dose of insulin before the pump becomes detached from the location of the implant. 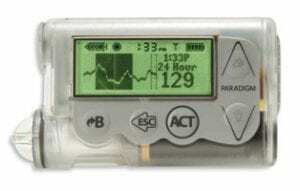 The insulin pump will respond to CoZmanager 2.0 PC communications software. Once given that software program, the Deltec pump can truly personalize the nature of its changing basal and bolus insulin doses. The re-programmed pump also offers more assistance with the reporting of the blood glucose levels (as determined from the test results). It will help to avoid the occurrence of bolus stacking. The Deltec Cozmo insulin pump carefully tracks the “Active Insulin in the Blood.” The pump offers assurance that the pump wearer will not forget that he or she has just called for a bolus dose of insulin, and will thus request a second, an unnecessary dose. Special security controls are included. Those controls restrict the number of people who can re-program the pump. Such reprogramming can be performed only by a select few, namely those who have been supplied with the needed password. It’s a lot like a PDA. It can be programmed to respond to the needs of an expected schedule. The pump software can receive input about that expected schedule. The pump can then adjust the bolus and or basal rate according to the provided schedule. The Deltec Cozmo pump helps the diabetic patient to achieve a more precise insulin dosing. The precise delivery of the bolus and basal insulin allows the pump to facilitate the maintenance of a desirable blood glucose level in the bloodstream. The integration of the blood glucose monitor and the insulin pump is the newest feature on the Deltec Cozmo pump. Still, it should not be viewed as the last new feature. The researchers at the plant that makes the Deltec Cozmo pump continue to search for more ways by which to bring their pump closer to the “ideal pump,” the pump envisioned by the average diabetes patient. Made and assembled in Korea, the Sooil Dana Diabecare II Insulin Pump has been approved by the FDA. 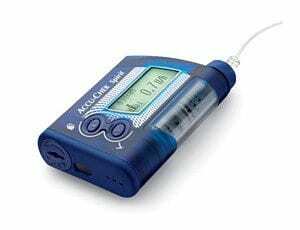 Distribution of the Diabecare insulin pump in the U.S. began in the year 2001. 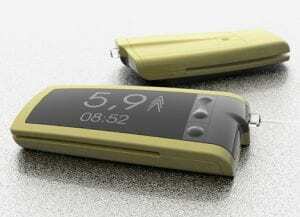 The makers of the Diabecare pump have created the world’s lightest insulin pump; the pump weighs only 1.8 ounces. Although quite light, and smaller than a Paradigm pump, the Diabecare pump still has a reservoir that holds up to 300 units of insulin. Moreover, the small size of the pump did not require the pump makers to produce a tiny display screen. The Diabecare pump has a generous amount of space on its screen, although some users have indicated that they would prefer a screen with a better resolution. By touching the proper icon, the pump wearer can call for display of a program menu on the screen. The screen also displays other important information, such as how much insulin remains in the reservoir. An alarm sounds if the insulin level falls below 20 units. The pump, the alarm and the screen are powered by a single 3.6 volt battery, which lasts two to three months. The Diabecare pump delivers insulin into the implant every four minutes. The pump wearer can program the basal rate by altering the number of units dispensed during each insulin delivery. The controls have increments of 0.1 units. The special features on the Diabecare allow the pump wearer to control various other parameters as well. The Diabecare pump has four different bolus programs: normal, default, pre-set and step programming. The pre-set program permits the quick coverage of standard meals. The Diabecare pump can be set to send out a 30 minute melody reminder after a bolus insulin dose has been delivered. The pump also has a Guided Management pump lockout feature. Using that feature, the pump can be set for use by a child with diabetes. The makers of the Diabecare pump advertise the low cost of their pump. It costs 20% less than any of the other pumps on the market. Still, those who are planning to purchase a Diabecare pump should know that it requires a Dana infusion set. Due to the presence of a reverse, luer lock connection between the infusion set and the hub, the Diabecare pump will not work with any infusion set other than that made by Dana. While the holder of a Diabecare pump can not elect to use a different infusion set, he or she does have many choices during the purchase of the Diabecare pump. The pump can be programmed in one of six different languages: English, Spanish, Chinese, Korean, Hebrew and Turkish. The pump also comes in four different colors. The Diabecare pump has dual microprocessors. Those microprocessors control the continuous cross-checking feature on the Diabecare pump. The pump keeps a close watch on the maximum bolus used, the maximum basal requested, the maximum daily total for insulin, the minimum level in the reservoir, the amount of power remaining in the battery and the possible appearance of a malfunction in the pump, or blockage in the line that carries the insulin. The Diabecare pump stores the time and date for past settings requested by the pump wearer. The pump stores information on the last 50 boluses, the last 50 daily insulin totals, the last 50 primes and the last 12 alarms. The screen on the Diabecare pump “sleeps” at night. That feature saves energy. It helps to prolong the lifetime of the battery that is being used to power the Diabecare pump. The makers of the Diabecare pump did not think only about the power in the battery, they also gave thought to the durability of the pump motor. The Diabecare pump does not contain a motor that was made in Korea. The Korean factory at which the Diabecare pump is assembled puts a Swiss-built DC motor into each of its insulin pumps. The issues surrounding insurance for insulin pumps reflect the more general issue of health insurance for all patients with diabetes. The companies that offer health insurance promise a policy that can cover unexpected future illnesses. Those companies are not eager to sell a health insurance policy to a patient with diabetes. Unlike the insurance companies, the government tends to focus on lowering the amount of money that consumers must spend on health care. A recent study has found that diabetes ranks number seven among the 10 most expensive medical conditions in the United States. Adequate insurance coverage for patients with insulin pumps could help to give diabetes a much lower ranking. For a while, those diabetics who could afford to pay for private health insurance could not get such insurance, because private companies would not cover them. Now some states in the U.S have major medical risk pools. Those states purchase a group health insurance plan. A diabetic can buy health insurance from such a plan, if he or she is willing to pay the slightly higher price. The Consolidated Omnibus Budget Reconciliation Act (COBRA) helps those diabetics who have lost a job, and have thus lost medical coverage. Jobless diabetics can purchase coverage from the same health insurance company that covered them in a recent job, even though they have a pre-existing condition.. That coverage can remain in effect for up to 29 months. Patients with diabetes have also been helped by passage of the Health Insurance Portability Act. That act limits the ability of any insurance company to deny coverage to someone with a pre-existing condition. In addition, some states have specific Diabetes Insurance Coverage Laws. Such laws can require coverage for diabetes education, diabetes supplies and diabetes nutritional therapy. The use of an insulin pump demands the willingness to attend the mandatory training. Training sessions normally take place under the guidance of a diabetes educator. The educator helps with pump set-up, with the process for delivery of bolus insulin doses and with changes in the pump infusion set. A good health insurance policy should cover the many possible problems that can plague the life of a patient with diabetes, should that patient decide to wear an insulin pump. The pump could run out of batteries. The pump’s infusion set could become clogged or dislodged. The tube carrying the insulin could become kinked or clogged. The insertion site could become irritated or infected. 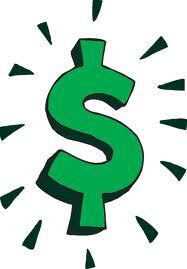 A good health insurance policy should cover both the cost of the insulin pump ($5,000 to $6,000) and the cost of monthly treatments (about $480). A patient with diabetes needs a top quality health plan. Diabetes patients in the U.S can consult the Department of Health and Human Services about the quality of the various health plans to which they might have access. A wise patient bases his or her selection at least partly on the quality of health care expected through any health provider. In addition, once a patient has obtained health insurance, that patient can limit the costs of any hospital stay by communicating with doctors and nurses. A patient with diabetes ought to learn how any of his or her medications might affect the body’s blood glucose level. The patient should also find out what the acceptable blood sugar level is for a diabetic who is confined to a hospital bed. When a patient with diabetes is in the hospital, tight blood glucose control should be a priority for all concerned. For that reason, the patient should request a “self management order,” a paper that gives the patient the freedom to control the course of his or her own diabetes treatment. The Minimed Paradigm 522 insulin pump is designed to assist individuals to control their diabetes more efficiently. A person that cannot manage their disease with diet and exercise alone may need insulin injections. This device allows an individual the freedom and mobility that straight injections may not provide. The Minimed Paradigm 522 has several features and benefits that are necessary and helpful in managing their diabetes. This machine is the very first insulin pump designed with real-time options. This technique will allow a person to continue to monitor their glucose levels every second of the day. An individual will never worry about their sugar levels with this handy device. A person will never have to prick themselves with a needle to check their blood sugar levels; they will know exactly how their system is doing as well as monitor how well medication and diet is helping the glucose levels. The features of the Minimed Paradigm 522 are plentiful. The device comes with a comprehensive user guide that can explain in detail each feature that is present. An individual will be able to setup their machine within a few minutes. This is a hassle-free method in maintaining a person’s diabetes. A glucose censor determines the blood sugar levels throughout the day. This is a painless process that can conclude if the levels are in a safe range. This product is small as well as lightweight. An individual may even forget that the insulin pump is working around the clock. The Minimed Paradigm 522 is completely rechargeable. An individual would not have to spend large amounts of money replacing batteries every few weeks. A half recharge can last up to 3 days non-stop. When it is fully recharged, a person can have the freedom of their machine for around 14 days. This device prides itself on the real-time features that it possesses. There are certain levels of readings, alarms and information that anyone needs to be aware of for their diabetes. It is completely customizable for an individual’s special needs. A person will be able to calculate their desired bolus dose, change their rate ranges as well as restore lost settings. The alarms are plentiful. An individual will be able to know when the medicine is running out, when the blood sugar levels are too high or too low and when the battery is almost depleted. This can be set to beep or vibrate. It is suggested while sleeping to set the device to beep. The benefits for the Minimed Paradigm 522 are fantastic. An individual will be able to control their diabetes with a few simple adjustments for a person’s specific body type. The machine will allow everyone the freedom to live life without worrying about their insulin injections. The Minimed Paradigm 522 is completely wireless. An individual will never be concerned about messy wires or hookups again. This machine is waterproof for 30 minutes. A person will be able to swim, take a bath or shower without distressing about their insulin pump. An individual can obtain software for records, uploading information or keeping track of the blood sugar levels. This is an excellent method in showing the health care provider records and information they need to know. 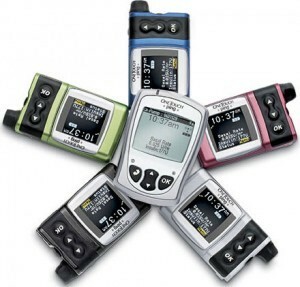 The Minimed Paradigm 522 can be obtained in 4 different colors. This is a fantastic technique to be able to match a person’s style and personality. This product is equipped with a remote control. This will allow an individual privacy when adjusting their insulin pump. An individual will be able to contact a trained professional 24 hours a day. If a person has any questions or concerns about their machine, they can get the assistance right away.